Population outbreaks of the coral eating crown-of-thorns starfish (COTS, Acanthaster spp.) have caused a substantial amount of live coral loss across the entire Indo-Pacific region in the past few decades. While the exact nature of what is causing these outbreaks remains unknown, it is likely that human disturbances to ecosystems are ultimately to blame. Although the ideal solution to the COTS issue is to stop these unnatural outbreaks from occurring altogether, substantial knowledge gaps and reluctance of affected governments and managers mean it can take years or even decades for meaningful change to occur in the frequency and severity of COTS outbreaks. In the meantime, governments, corporations, organisations and individuals have been using direct control methods, like manual collection and injections to remove starfish form the reefs. Here I present the methods developed by myself and collaborators using regular household white vinegar to cull Crown-of-thorns starfish. Read more about the causes of outbreaks, and some common queries in the Frequently Asked Questions section. First of all, please make sure that you have any relevant permits and approvals from government and Traditional Owners before undertaking a culling program. Second, bear in mind that direct control methods of COTS have their limitations: You are unlikely to stop an outbreak from happening completely using direct methods (i.e. manual collection, injections, or cutting them up in smaller pieces). However, with a targeted and sustained effort local reefs can be cleared of COTS, and therefore have a better chance of recovery. If you are based in Australia, vinegar has now been approved to use on the Great Barrier Reef by the Great Barrier Reef Marine Park Authority. You can read more about that here, and apply for permits here. Capacity: Ability to inject 20 ml of vinegar, while keeping divers at a safe distance from COTS thorns. The most commonly used guns are agricultural guns used for livestock injections. Materials: Rust is an issue, so choose either plastic or stainless steel. Key feature: The ability to attach a 16 gauge needle onto an extension rod. The size of the injection needle is critically important, given that trials have consistently demonstrated that larger needle sizes reduces the mortality rates of injected COTS (for bile salts, and for vinegar). This is likely to be due to the injected chemical leaking out through the wide hole created by larger needles, and therefore reducing the total amount, and dilution, of chemical injected into the starfish. The extension rod is crucial to separate the injecting diver from the sharp spines of the starfish. You may have to get creative with piecing together a kit with gear that is available in your location. Below are descriptions of a few adaptations that people have used around the Indo-Pacific. If you have examples of other methods that you don't mind sharing, let me know! If you have a 10ml injection gun (like those used for bile salts), they can be 'pumped twice' in a single injection hole to deliver 20ml. Just make sure that the needle is the smaller 16G needle, and not the larger 4mm needle used for sodium bisulphate. Some injection guns and fittings can be attached directly onto a 2L household vinegar bottle purchased at Australian supermarkets. This is useful for smaller control efforts where 5L of vinegar will not get used up in a dive. 2L vinegar is enough to kill approximately 100 starfish. A dive resort in Indonesia used 20ml syringes and hypodermic needles, found at a local pharmacy. The syringes were pre-filled with vinegar and placed in a PVC tube. I have received reports of communities in the Philippines which have fermented coconut to make coconut vinegar. This vinegar is substantially cheaper than white vinegar, and (anecdotally) has the same effect as store bought vinegar. The PVC tube was perforated and could carry multiple syringes. This way dive masters can quickly inject a COTS when it is encountered, without disrupting the dive too much. Vinegar is a mixture of acetic acid (CH3COOH) and water, and vinegar intended for cooking is usually sold at a concentration of 4% acetic acid. While it may intuitively seem like stronger concentrations may be better, trials indicate this is not the case. Really strong concentrations of acetic acid actually resulted in lower mortality rates than injections with 4% acetic acid. I speculate that this is because stronger concentrations of acid promote a more immediate response in the starfish, where they drop injected arms, which allows the remaining starfish to survive and regenerate. Meanwhile, a single injection of weaker acid, at a relatively large volume (20mL) allows more acid to enter the hydrovascular system of the starfish without triggering an immediate response. It is therefore recommended to use 4% acetic acid mixture where possible. The acetic acid needs to be mixed with freshwater, as mixing with salt water reduces mortality rates. However, a store-bought solution of 4% cooking vinegar has the same mortality rate when injected as a solution of concentrated glacial acetic acid mixed at a 4% solution with freshwater. This is useful for larger operations as large quantities of concentrated acetic acid can be easily stored before mixing into vinegar. For comparison, while a 1 litre bottle of 4% vinegar can cull 100 starfish, a 1 litre bottle of glacial acetic acid can be used to cull 1250 starfish. Divers locate a COTS, and inject 20 ml slowly at the base of one arm. One arm has been enough in aquarium studies, with 100% mortality in less than 24 hours. Try to be quite precise with the location of the injection. The ‘water skeleton’ (water vascular system) of starfish has a pumping system with little balloons (=polian vesicles) along a circular canal (=ring canal). If you inject at the top of each arm, where it meets the oral disk, you are more likely to hit the polian vesicles and ensure the vinegar is spread throughout the animal. Try to inject at an angle, not straight down. A slight angle gives you a higher chance of hitting the polian vesicles. Normal food colouring can be mixed into the vinegar so you can see where the injected fluid goes. A common initial problem with any injection method is to pierce the whole starfish and inject the chemical into the reef. While the short needle in the vinegar kit limits this, the food colouring helps you to spot any mistakes, as well as any leaks in the equipment. Rinse and clean equipment after use. A poster from the Australian Coral Reef Symposium (2015) presenting the initial aquarium based study. The four square images detail the decay of starfish from injection to 72 hours post-injection. The multitude of scavengers on the reef will ensure that remains disappear much faster on the reef. The poster was awarded 'Best Poster Presentation' of the conference. The starfish will have a short period of extreme activity, moving around trying to get access to shelter. I’ve never observed feeding at this stage. Within 24 hours the starfish is ‘functionally dead’, in other words it has started to decompose, is unable to move and feed but has some tube feet still moving. Sometimes arms will rip off at this stage and wander around, but they never survive longer than 48 hrs, and can’t feed anyway (they have no stomach). A lot of fish will start to eat the decomposing bodes at this stage so the ‘clean-up’ process will be faster on the reef than in aquaria. I conducted a large scale impact assessment of using vinegar as an injection chemical of COTS. These 6-week trials involved injecting a high number of COTS with vinegar in small area, resulting in a density of injected COTS way above those recorded during a typical outbreak. Over the 6 weeks I monitored coral health, reef fish numbers and invertebrate presence, and detected no negative effects from the vinegar injections. The experiment was run as a full MBACI (Multiple Before and After, Control and Impact sites) which is a recognised robust experimental design for conducting impact assessments. In addition, I conducted aquarium based transmission trials where I injected multiple COTS and left them in a tank with other marine organisms, and recorded no mortality or disease (except in the COTS themselves of course). In other words, I’m very confident that vinegar is a safe chemical to sue for vinegar culling operations. The impact assessment will be compiled into a publication in the coming months, and has lead to vinegar now being an approved chemical to use (with a permit) on the Great Barrier Reef. If you have previously been using bile salts there are a few things that will be different. These points are based on conversations I've had with operators who have made the switch, not things I have necessarily measured or seen myself. If you have something to add, or want to chime in, contact me here! COTS injected with vinegar seem to disappear faster than COTS injected with bile salts. Some operators on the Great Barrier Reef have reported finding COTS carcasses when returning to reefs two weeks after bile salts have been used, while starfish injected with vinegar disappear in less than 72 hours. An absence of carcasses therefore does not indicate that it hasn't worked, only that the reefs clean-up crew have been there, and seem to have a taste for salt & vinegar COTS! COTS injected with vinegar are slower to react. Starfish injected with bile salts show a more immediate reaction to injections, while there can be a delay of 20-30 minutes until a reaction occurs in starfish injected with vinegar. While the outcome is the same (100% mortality), this may mean that it is a bit more difficult to know which starfish you have already injected, if the outbreak is particularly dense. If injecting with others, try to swim in a straight line with other divers, so that any starfish ahead of you have not been injected. Scientific articles: Find the original article of single-shot vinegar injections, based on aquarium studies, here. A preprint can be downloaded here. Boström-Einarsson, L., and J. Rivera-Posada. 2016. 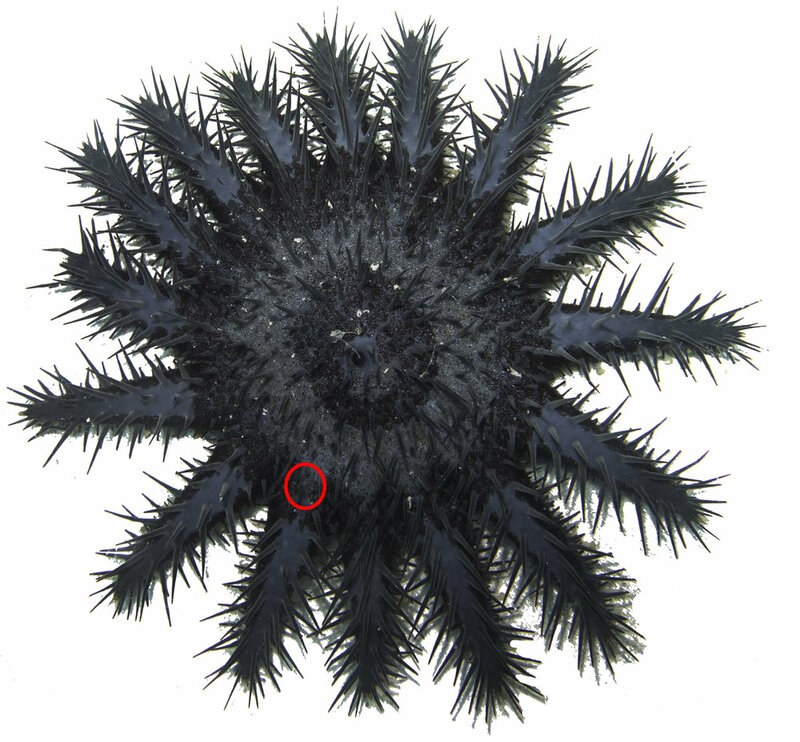 Controlling outbreaks of the coral-eating crown-of-thorns starfish using a single injection of common household vinegar. Coral Reefs 35:223–228. The study describing the impact assessment can be found here. Boström-Einarsson, Bonin, Mary C., Moon, S., Firth, S., 2018. Environmental impact monitoring of household vinegar-injections to cull crown-of-thorns starfish, Acanthaster spp.. Ocean & Coastal Management, 155:83-89. Prior studies which investigated the use of vinegar as an injection chemical, with different methods can be found here and here. FAQ: get answers to some of the most common questions I receive about COTS control here. Media releases: Read press releases for the vinegar method, and the decision by GBRMPA to approve vinegar on the Great Barrier Reef. 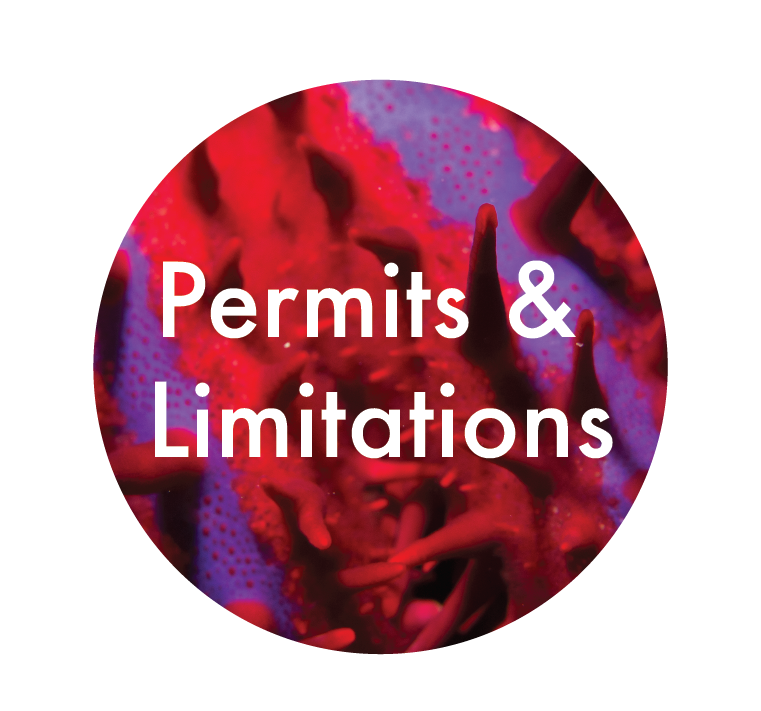 GBRMPA: Read about the work being done to combat COTS on the Great Barrier Reef, here, and apply for permits to do your own control on the GBR here. Guidelines: Download the 2017 guidelines for COTS-culling on the Great Barrier Reef here. AMPTO: Contact the organisation conducting large scale control efforts on the Great Barrier Reef, and purchase (bile salts specific) equipment here.